Apple Releases New iOS Upgrade - Will it Fix Wi-Fi and Battery Problems? The frustration continues for iPhone customers who said their devices haven’t worked properly since installing Apple’s iOS update. 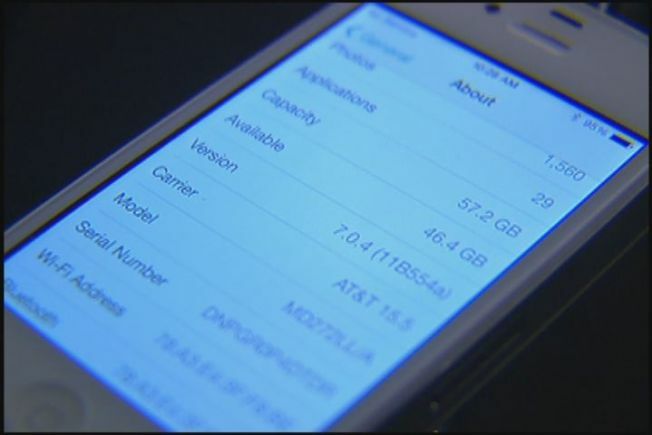 Kelly Shermer said her iPhone 4S has had a dull battery and no access to Wi-Fi since she upgraded the device. “I upgraded over the Wi-Fi and about an hour later, my phone was starting to freeze on apps,” said Shermer. For the past few months, she and her husband, Mike, have tried everything to fix her phone, she said. They’ve shut off her apps to preserve her phone’s battery and upgraded the device to iOS 7.0.4 after it was released on Nov. 14, but nothing’s worked. “It was just very, very frustrating, and it didn’t seem like there was any way to fix it,” said Shermer. She isn’t alone. Apple’s message boards feature complaints from people reporting the same Wi-Fi or battery problems since upgrading their phones. Some were hoping that iOS 7.0.4 would address those issues, but it hasn’t. Lon Seidman, tech expert and writer for CTNewsJunkie, said it might be a while before those customers get answers. “Apple is never transparent about their update process. They fix it and then they tell you after the fact that they fixed it. They don’t really tell you when it’s going to be fixed,” said Seidman. Apple hasn’t released a statement addressing the issues its customers have been reporting. The company also hasn’t returned any phone calls from the NBC Connecticut Troubleshooters. However, Apple does have advice for customers who can’t access Wi-Fi. Customers are told to turn the airplane mode off, then reset their phone’s network settings by going to Settings, General, Reset, then hitting Reset Network Settings. “It kind of re-boots the whole network process on the phone and it forgets all of its Wi-Fi access points. You have to program them all back in,” explained Seidman. That process has worked for some iPhone users, but not all. Mike Shermer said he tried resetting his wife’s phone to no avail. He said he took the phone to an Apple store, but was told by an employee that the problem was not IOS, but his phone’s antenna. Mike Shermer was also advised to replace his phone. “Why should I have to pay for a phone that’s broken, only because I installed software on it? That’s Apple software,” he said. Apple is currently beta testing 7.1 with developers, but it’s unclear if the software will address the issues some customers said they’ve been experiencing with their phones. “I’ve got kids at home and I work in [Massachusetts], so they don’t generally call my work, they call my phone. I need to be able to get a hold of people when I’m at work,” said Kelly Shermer. She said all the issues with her phone have convinced her to buy another one. “I got tired of it. I said, I’m just going to wash my hands of Apple,” Kelly Shermer said. If these Wi-Fi and battery problems persist, the question is whether other Apple customers will follow Kelly Shermer’s lead and switch to a different smartphone.